With all of the tech we count on that uses actual experiential learning to better read handwriting on a variety of payment types — including checks, for instance — we probably should have seen this coming. Last September the white coats at Google added something called the Google Neural Machine Translation system (GNMT) to their translation tool. The short version is that Google Translate got smart. It developed the ability to learn from the people who used it. It learnt how to make educated guesses about the content, tone and meaning of phrases based on the context of other words and phrases around them. And — here’s the bit that should make your brain explode — it got creative. But that’s not the most amazing part. 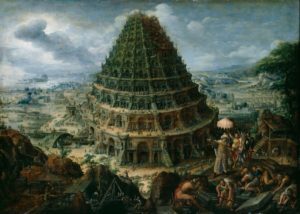 What’s most incredible about this story is that the GNMT was not instructed to invent its own language – – it came up with the idea on its own in its fight against the Tower of Babel curse. Let’s repeat and ponder: It came up with the idea on its own. OrboAnywhere Fraud technology is rooted in technology that benefits from the ability to actually learn as it examines and “experiences” the broad spectrum of payment instruments which represent a profile of an account holder. Logic within the system builds profiles which provide a statistical representation of an account, automatically inserting new check stock examples, signatures, behaviors and negotiable item types which might hit the account. The result is a streamlined representation which is validating every payment which comes in on that account! Now we learn that computers have the ability to actually make process decisions and self-generate the needed programming, tool, or language required without human interaction – – incredible.